Any type of iterative work can quickly get out of hand if not monitored closely. To solve this issue, you set up procedures and standards that your team needs to follow. But then after a few weeks, you notice employees completing tasks out of order. Or possibly you see many tasks go unfinished. This is where a PMO comes in. PMO stands for “project management office,” a dedicated department for defining and maintaining the standards of individual assignments. But your PMO doesn’t have to tackle this responsibility alone, which is precisely why PMO software, a type of project management software, exists. The primary goal of a PMO is to maximize the benefits of standardizing and streamlining project management processes, policies and methods. It may not be directly involved, but it oversees all of your task management activities. The vast majority of departments rely on sophisticated PMO software, as this can be a complicated process. Technology is a highly valuable asset for modern PMOs because, among other things, they support the standardization of regulatory compliance. The department is responsible for all documentation relating to the management and implementation of internal projects. A PMO will also track certain metrics and offer direction to your team to meet company objectives. Further, much of the work is grounded in legal practices. Usually, project management offices don’t function as active, “on-the-ground” teams. They work in an advisory capacity, serving as a source of information for project supervisors. They may report on project activities, as well as follow up on results once the initiative is complete. Successful PMOs are rigorous, thorough and always accountable. What Is PMO Software and What Does It Do? PMO software is another term for the tools and features within project management solutions (specifically PPM software) that enable your project management office to accomplish all the responsibilities listed above effectively. PMO tools provide support to middle management, help to keep projects on track and make sure every action is compliant with regulatory rules and standards. With the right PMO solution, it’s easy to avoid operational risks, budget effectively and monitor productivity. Some PMO solutions contain traditional project management features, such as tasks, project templates, workflows, etc. However, the main goal of a PMO software is to help your team manage your ongoing projects in relation to each other, ensuring adherence to standardized processes to meet your overall business objectives. The best PMO software offers high-level collaboration tools. They should give users the ability to work in tandem, without compromising on individual focus or efficiency. For instance, teams must be able to zero in on their specific projects without there being too many distractions. Additionally, team leaders should find it easy to contribute to and supervise across multiple projects and tasks. Use PMO software to see what documents and messages your teammates have entered into the system for quick communication. Full collaboration is only possible if team members have a fast, secure way to share documents. Email is the current method of document sharing for many companies. And while it may be fast and secure, it’s definitely not a very organized method. Sharing documents directly from your project management system is by far the superior option. Most software solutions enable document sharing through the use of compatible with third-party cloud storage apps, such as Google Drive or Dropbox. PMO tools make it easy to integrate these third-party solutions into your system. This way, documents already stored in these applications can be easily accessed in your new project management solution without difficulty. Document transfer is just the kind of simple transaction that takes minimal effort but makes a big difference to your routines. Budgeting is one of the biggest challenges for project managers. Projects can quickly go over time and encounter unexpected expenses related to both resources and labor. Often, the success of an entire project depends on the ability of a manager to spend wisely. This starts with effective expense tracking. Many PMO solutions contain inbuilt templates which users can enter in their expenses. Often, these templates can also be exported to a separate spreadsheets system if needed for accounting purposes. Further, some systems generate a forecasted budget using your billing rates and your resource allocation plan. Users can access reports to ensure adherence to predefined budgets. After you’ve completed a project, PMO software can also create detailed reports on spending. The department can use software systems to track every outgoing dollar and, eventually, determine its return to make better business decisions in the future. Any good PMO software solution should enable users to track and manage risk. Without risk management tools, you could be blindsided by issues related to legal challenges, market variations, your reputation and more. If you haven’t calculated the risk related to your projects, it’s unlikely that you have an accurate budget or plan for what to do should any of these issues present themselves. That’s why PMO software allows users to document all risks involved with specific projects, the chances of each risk occurring, the costs associated and any plans created to deal with the situation. Users can then set up business rules and contingencies to alert the correct people should the probability of a risk go beyond the limits determined as acceptable by your project manager. For efficient resource management, you need reliable and easy-to-use reporting software. Luckily, PMO software has some of the best reporting tools available for non-technical staff. Firstly, PMO software often includes pre-built reports which allow users to see trends on metrics like milestones reached and project completion. These reports can be altered to track the metrics most important to your business. PPM software provides users with visuals that help them quickly understand the overall trajectory of a company’s various projects. Additionally, PMO software lets users create completely custom reports to get exactly the right type of information on their business’s processes. This is important because it eliminates irrelevant information. You can zero in on the data that relates to your specific set of milestones or objectives. This is the simplest way to define KPIs and determine which areas of a project plan need to be improved. Custom reports can also be saved as a template and used in the future. Additionally, PMO software provides dashboard capability which allows users to see the KPIs most important to them when they first log in. Users can access this data in the form of Gantt charts, pie charts, line charts, bar charts and more to quickly understand where resources are being utilized. In addition to PMO features, your business also needs to consider what method of deployment you plan on implementing. Two versions of the same product can benefit your business differently, depending on the deployment environment you choose. On-premise software is installed directly onto company servers. Before the introduction of cloud-based systems, all PMO solutions were delivered in this format. However, it’s worth acknowledging some recent changes within the market. Cloud-based software is growing in prominence. It’s expected to take over on-premise solutions entirely within the next decade. Nevertheless, many companies still choose on-premise solutions for a few reasons. On-premise solutions afford companies more control over their system when it comes to both security and customization. This may be especially appealing, considering the compliance and legal challenges PMOs face on a regular basis. However, an on-premise system requires you to dedicate additional IT resources to your PMO, which may not be possible for all businesses. Lastly, companies in remote locations may choose on-premise to avoid issues associated with a slow internet connection. Cloud-based software doesn’t occupy onsite servers, which means it isn’t subject to the same limitations as on-premise technology. Cloud PMO software is stored and managed by external providers. So while this means you have reduced control, it also means you don’t have to worry about updating or maintaining your system if you choose the right vendor. Any authorized individual can access the cloud in any location with an internet connection. Cloud software offers automatic backups, robust security and reduced operational expenses. You don’t need any physical space to host it, and most products are fully scalable. Cloud-based solutions are also often priced on a monthly basis. This dramatically reduces your company’s sunk costs, making it a less risky investment. However, over the lifetime of a system, cloud software can end up costing just as much as an on-premise system. For most PMOs, rigorous, systemized practices are the name of the game. This is particularly true when you’re overseeing multiple versions of the same project. This is why cyclical templates are such a valuable feature of these solutions. However, it’s worth looking for a system that allows a quick switch between cyclical frameworks and one-off processes. This is the best way to ensure a high level of internal scalability. Businesses should have the tools needed to handle projects of all shapes and sizes. Ideally, you want a PMO system that comes with some form of customer support. This is especially important for bigger businesses as system downtime can cost you significantly more. The easiest way to find out if a product comes with extended support is to talk directly with the vendor. Never assume a PPM vendor offers external customer support, even if they are a large company. Think about implementation, which alone is a major task that often requires the help of a transition team. See if your vendor offers support packages to help you during your implementation before turning to consultants or hiring additional staff. Although, these options are not bad ideas under the right circumstances. Next, see what kind of support packages are available after implementation. Ask about telephone and instant messaging support, as well as the option to have a specialist visit in person. Will support be available 24/7 or just during business hours? Would a support package incur an additional fee or is it included in your subscription? Make sure to come up with a thorough list of questions so there are no surprises come implementation. PMO software is an essential tool for managing your project portfolio. It provides an overview of your company’s initiatives and performance using the data you’ve already entered into your system. This provides insight into your company that would otherwise only be available after hours and hours of manual analysis. 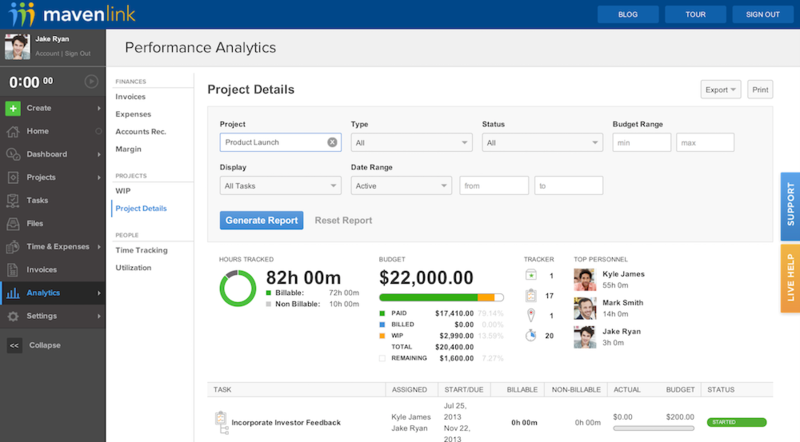 It’s hard to come up with a reason not to invest in PMO software, especially if you’re already dedicating resources to a project management office. In order to find the best-fit project management software for PMO, you’ll need to make a list of the features, deployment methods and other aspects you’d like to see in a new system. 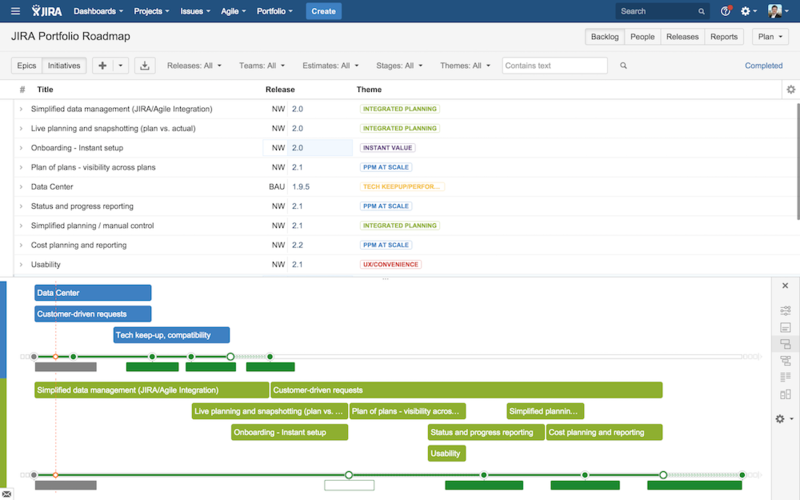 Make sure you check out our project management requirements template to help you get started. Besides PMO software, what other methods and tools does your company utilize to manage your projects? Leave a message below to let us know!